In this update we would like to announce yet another new and exciting feature recently added to the BUILDTEAM token. 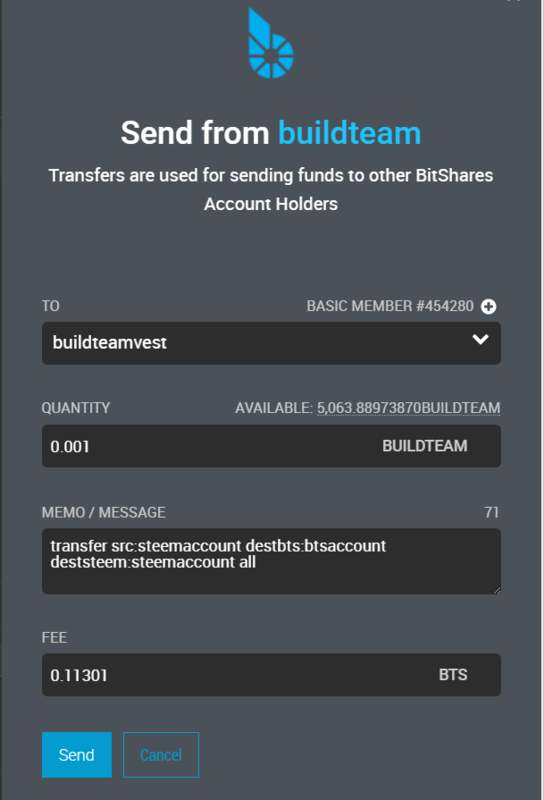 BUILDTEAM tokens now have new functionality that allows holders to transfer their stakes to a friend, family member or anyone they deemed worthy, assuming that person has a Bitshares account as well as a Steem account. We've tested this function out several times and can confirm it works like a charm. 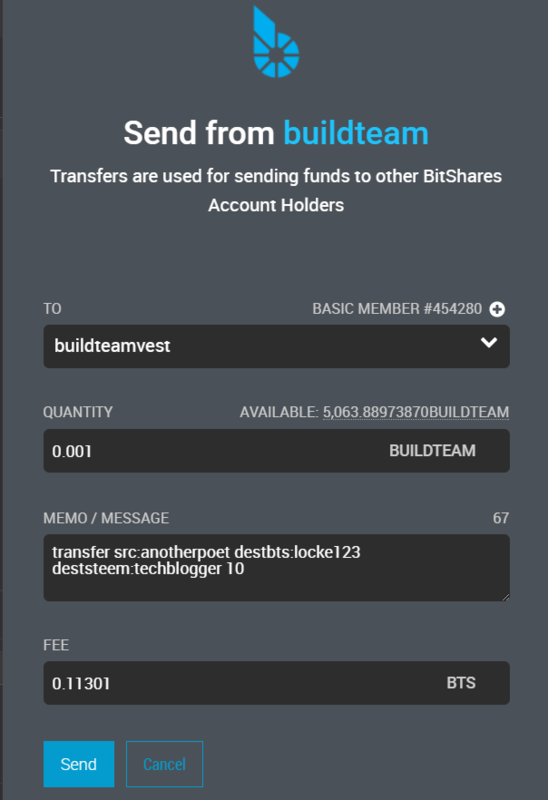 Firstly we would like to point out that this transaction requires a minimum amount of at least 0.001 BUILDTEAM to be sent to the buildteamvest Bitshares account, including a memo in the format below. The transaction must be sent from the Bitshares account that owns the source stake to transfer from. This example above shows me sending from a stake associated with my Steem account (anotherpoet) to an alternate Bitshares account (locke123) associated with a different Steem account (techblogger) and I've designated 10 tokens to be transferred. By using the keyword "all", an entire stake can be transferred without needing to specify the exact amount. Staking payouts are made twice per month. They occur on the 1st and 16th of each month. Payouts are done from a fund of BuildTeam profits that have accumulated over the previous 2 week period. The size of this fund is never announced before distribution. Since most of our projects are based around the Steem blockchain, payouts are made in Steem, and are sent to the Steem account you nominated when initiating the Stake. When BuildTeam branches out to build on other blockchains, income in those currencies will also be paid out to Stakeholders, initially consolidated into the Steem currency first prior to distribution. Once you have staked your BUILDTEAM tokens, they are essentially frozen as long as they remain staked. Staked BT cannot be transferred or traded on the Bitshares market. 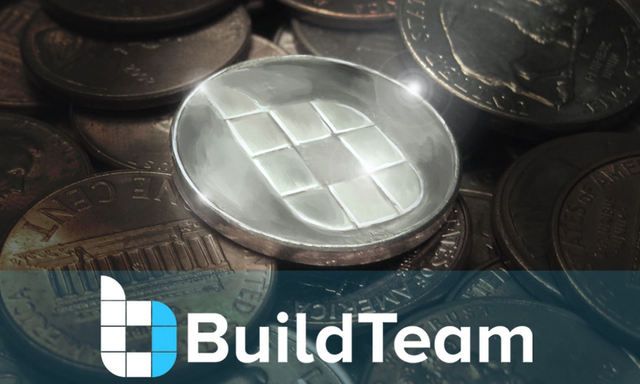 These tokens are effectively taken out of circulation, making BUILDTEAM a limited Circulation (LCT) or Limited Float Token (LFT). The stake can be made liquid again in 13 equal weekly instalments, similar to how one would power down Steem. We hope you'll take the opportunity to try this new functionality out as it is our belief that this adds value to the token in general and gives holders more options when it comes to staking them. Hello, I want to keep my stake in the same bitshares account but receive the payouts in a different steem account, is that possible? src is the original Steem account associated with your stake, and deststeem is the new Steem account to receive payouts in. destbts is your Bitshares account that owns the stake. Great idea to add this functionality, while waiting for SMT. There will be a transition phase towards those when released? It is a really good thing allowing people to move their stake to their friends.I have bitshares account.So I will be able to move stake too whenever necessary.